The SuperSting™ Wi-Fi is a next-generation electrical resistivity meter and induced polarization (IP), and self-potential (SP) system, used to scan and image the subsurface of the earth and visualize the results in 2D slices or 3D volumes. 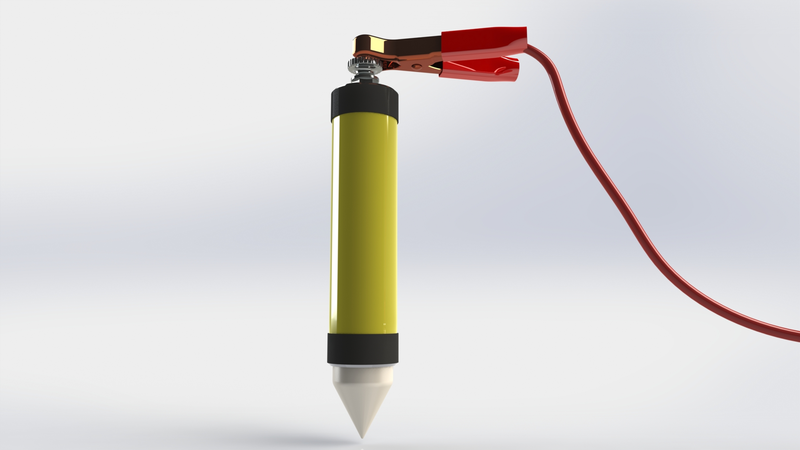 The fully automated SuperSting™ has been thoroughly field-tested on every extreme environment on earth, utilized in over 700 peer-reviewed journal articles, and provides the highest accuracy and lowest noise levels in the industry. 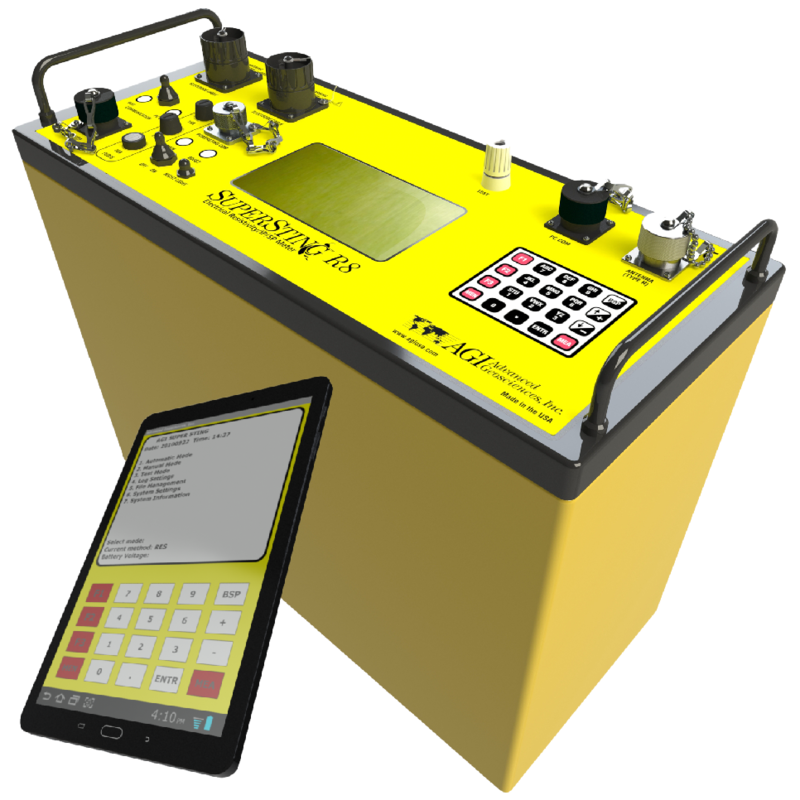 The SuperSting™ line of electrical resistivity tomography equipment is the first in the industry to have multi-channel capability and is continually improved and updated with additional features. Apparent resistivity, resistance, induced polarization (IP), SP, and battery voltage. Max 30 nV—depends on voltage level. 200W internal transmitter. 5kW, 10kW and 15kW external transmitters also available (see separate brochure). 1 - 2000 mA continuous, measured to high accuracy. 800 Vp-p—actual electrode voltage depends on transmitted current and ground resistivity. Five models available—8-, 6-, 4-, 2-, or 1-channel. Automatic—always uses full dynamic range of receiver. Automatic cancellation of SP voltages during resistivity measurement. Constant and linearly varying SP cancels completely (V/I and IP measurements). Time domain chargeability (M). Six time slots measured and stored in memory. 0.5, 1, 2, 4, and 8 s.
Basic measure time is 0.2, 0.4, 0.8, 1.2, 3.6, 7.2, or 14.4 s as selected by user via keyboard. Autoranging and commutation adds about 1.4 s.
Continuous averaging after each complete cycle. Noise errors calculated and displayed as percentage of reading. Reading displayed as resistance (dV/I) and apparent resistivity (ohmm or ohmft). Resistivity is calculated using user-entered electrode distances. Better than 100 dB at f >20 Hz. Better than 120 dB at power line frequencies (16 2/3, 20, 50, and 60 Hz) for measurement cycles of 1.2 s and above. Better than 1% of reading in most cases (lab measurements). Field measurement accuracy depends on ground noise and resistivity. Instrument will calculate and display running estimate of measuring accuracy. 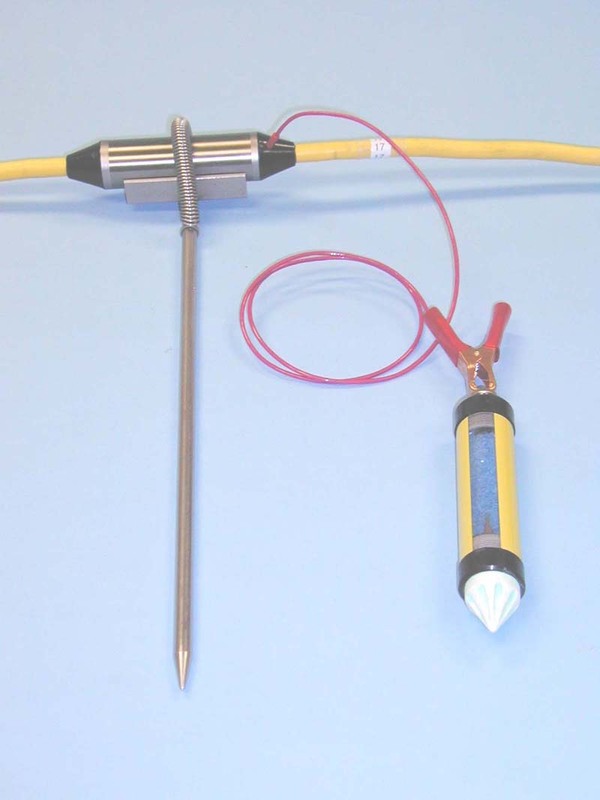 In manual mode: Resistance, Schlumberger, Wenner, dipole-dipole, pole-dipole, and pole-pole. In automatic mode: Any configuration can be programmed via command file. Stored in reprogrammable flash memory. Updated versions can be downloaded from our website and stored in the flash memory. Full resolution reading average and error are stored along with user-entered coordinates and time of day for each measurement. Storage is effected automatically in a job-oriented file system. Apparent resistivity (ohmmeter), current intensity (mA), and measured voltage (mV) are displayed and stored in memory for each measurement. Data can also be displayed on an Android device in real time as bright color pseudosections, IP curves, transmitter/receiver plot, contact resistance measurements, and more. Virtually unlimited data storage in real time on controlling Android device. The internal SuperSting memory can store more than 79,000 measurements (resistivity mode) and more than 26,000 measurements in combined resistivity/IP mode. Data can be instantaneously transferred from the Android device by email or by file transfer from the Android device USB port. RS-232C channel available to dump data from instrument to a Windows-type computer on user command. The SuperSting is designed to run dipole-dipole, pole-dipole, pole-pole, gradient, Wenner, and Schlumberger surveys including roll-along surveys completely automatic with the patented Dual Mode Automatic Multi-Electrode system (U.S. Patent 6,404,203) or a passive electrode cable system. The SuperSting can run any other array by using user-programmed command files. These are ASCII files that can be created using a regular text editor. The command files are uploaded to the SuperSting RAM memory and can at any time be recalled and run as a survey. 20-key-tactile, weatherproof keyboard with numeric entry keys and function keys. Measure button integrated within main keyboard. LCD night-light switch (push to illuminate). Keyboard and LCD are mirrored to an Android™ device using Wi-Fi® technology for easy remote control of the SuperSting. Graphics LCD display (16 lines x 30 characters) with night-light. Android mobile phone screen (7”) or 10” Android tablet with bright color AMOLED display. 12V or 2x12V DC external power—connector on front panel. Optional AC/DC power supply and motor generator. Depends on survey conditions and size of battery used. Internal circuitry in auto-mode adjusts current to save energy.